My kids love to get out the Halloween decorations and start playing with them all over the house and that’s what we did last week after school. 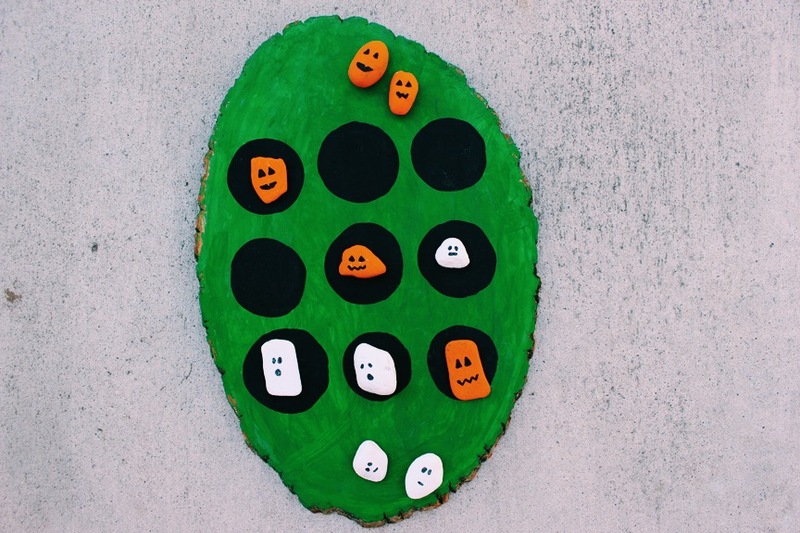 I got inspired by their play and thought it would be fun to make some new Halloween crafts for kids and decided on a new game. I love to get festive in our home and even have a Pinterest Board dedicated to holiday crafts, food and decor. 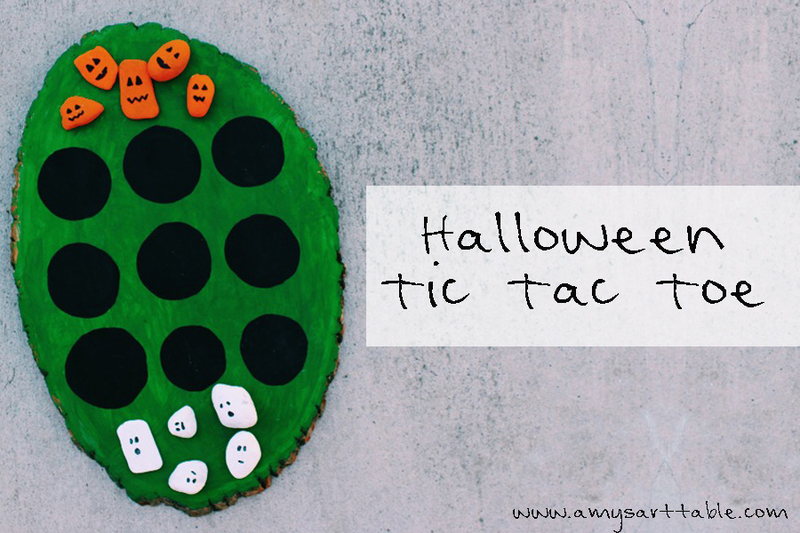 I got inspired by this tic tac toe game and decided to have the kids help me make our own festive version. 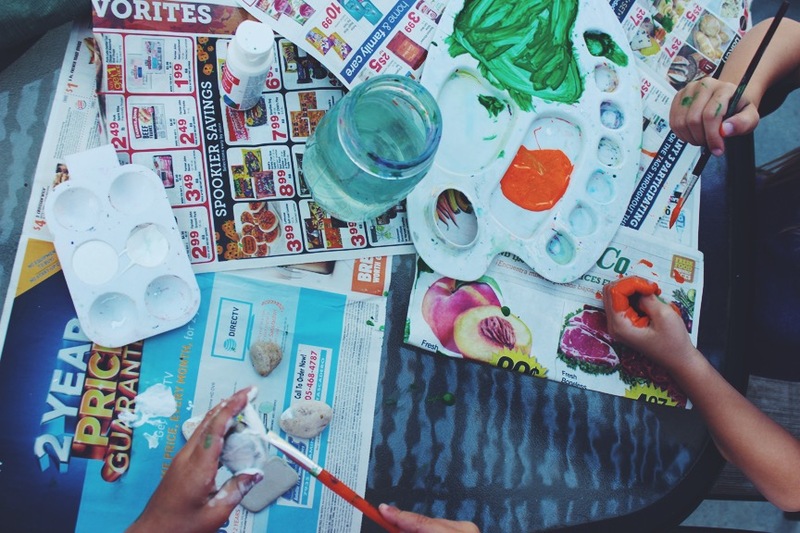 After you gather your supplies you can get some little helpers ready to do some painting! First they painted the game board green. 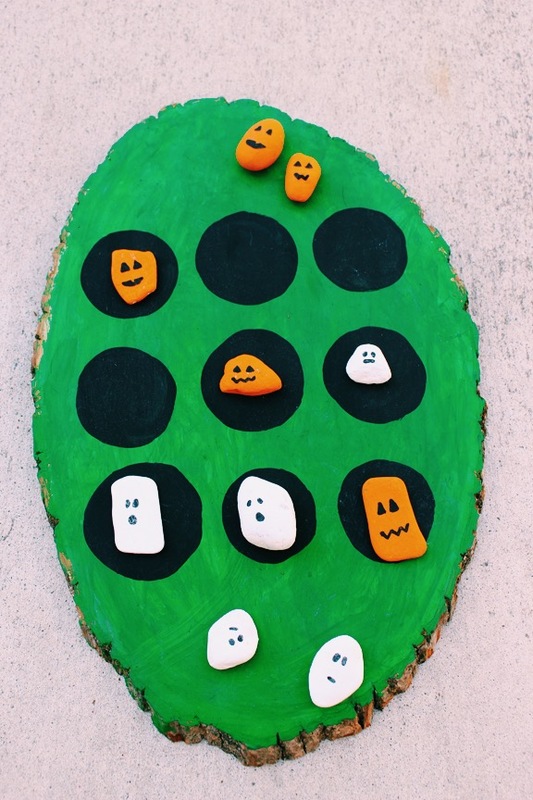 We used the green to represent grass but you could make your game board black and white themed and have pumpkins vs. monsters. We voted and decided our game would be pumpkins vs ghosts! 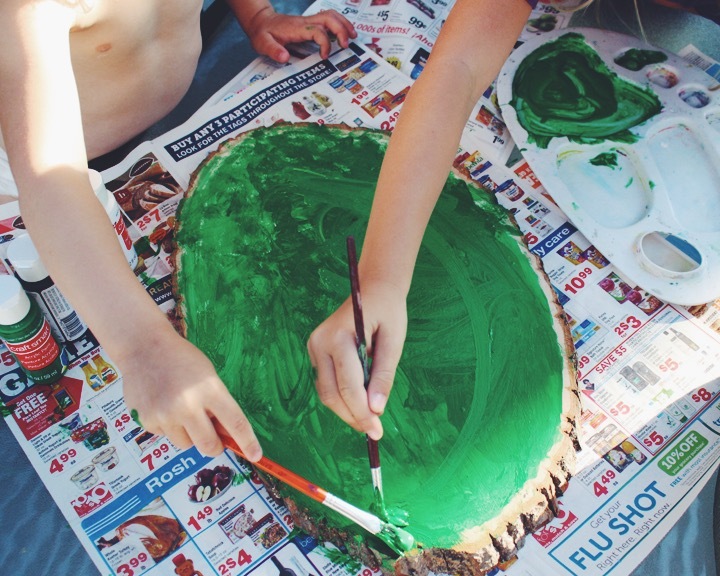 After the kids painted the game board green they started working on painting the rocks. After the Halloween game board was dry, later that night, I added the black game dots. And after the girls painted the rocks their specific color, in our case Halloween orange and white, I added the faces while they were sleeping. I just love the way these Halloween ghosts and pumpkins turned out! They are so festive and fun! 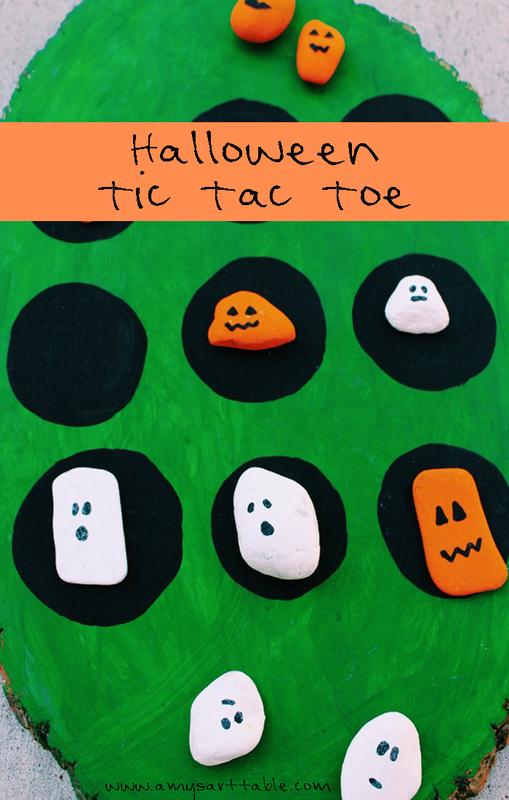 Our Halloween crafts for kids tic tac toe game turned out to be a hit and even when the kids aren’t playing tic tac toe with it, they have come up with some really cute Halloween imaginary play! 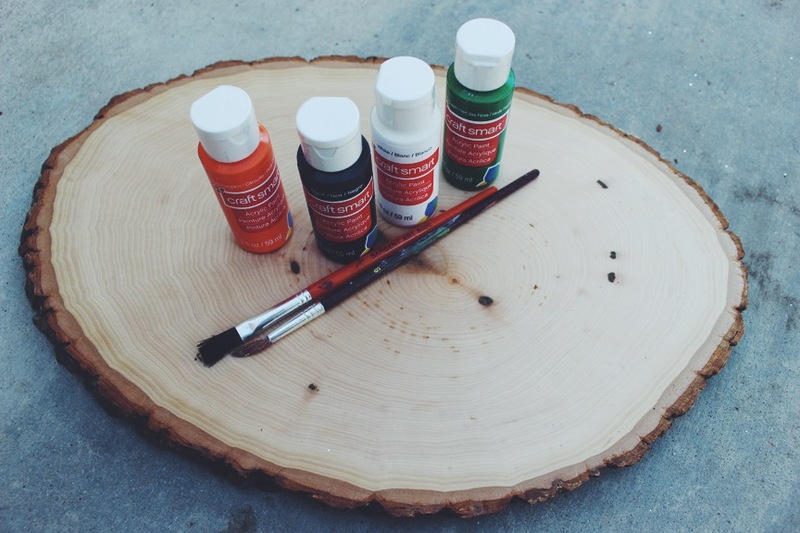 This project is soo cute, great for any holiday fun! Thank you! The kids are loving it! Yes, I was thinking a Christmas one!